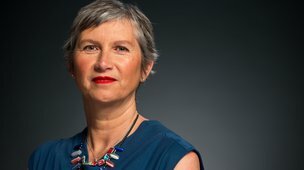 Claudia Gore: "We need to look after our minds too"
Claudia Gore, 47, was diagnosed with ovarian cancer two years ago. She shares the story of her early symptoms, her diagnosis and treatment. Claudia also describes the impact of her ovarian cancer experience on her mental health and why sessions with a psychologist helped so much. 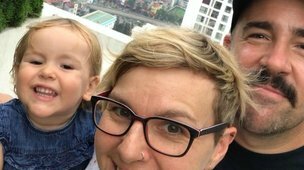 Jess Brown is 26, a mum, and an ovarian cancer survivor navigating surgical menopause. 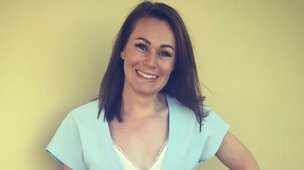 Jess feels lucky her ovarian cancer was diagnosed early and is organising a Walk In Her Name to raise money for ovarian cancer research this March. 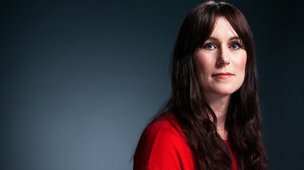 Nicola Butler: "I didn't want to worry them so I kept the chance it could be cancer to myself"
Nicola was 46 years old when she was diagnosed with stage 1c epithelial germ ovarian cancer. 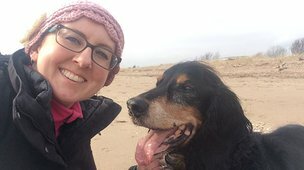 Now a year cancer free, she reflects on the importance of listening to your body. 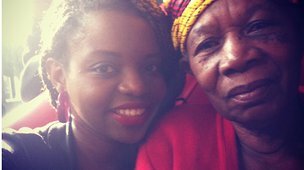 Gift Hamisi: "Educate yourself on your family history and learn to listen to your body"
Five years after losing her mother to ovarian cancer, Gift was shocked to learn that her grandmother had also been diagnosed with the disease. 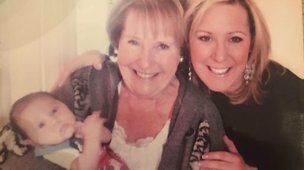 Gift is currently awaiting the results of her BRCA test and wants to use her voice to encourage other women to understand their family history and the prevention options available to them. 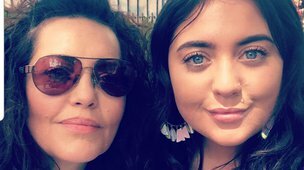 Suzie Aries: "Now, my main focus is to make sure that every day is a good one"
Suzie Aries was diagnosed with Stage 3/4 ovarian cancer, aged 25. She shares her story and explains why research into early detection is so important. Lesley was diagnosed with stage 1b ovarian cancer last year. She shares her experience so far. 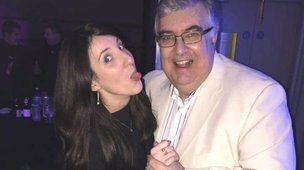 Alan Roberts pays tribute to his beloved wife, Carys, who lost her life to ovarian cancer in March this year. A hugely talented artist, the sale of Carys's artwork has left an incredible legacy, helping to raise £25,000 for a number of cancer charities. Natasha has Lynch Syndrome, a genetic mutation which is linked to an increased risk of a number of different cancers. She tells us about her own family history, and why knowing her genetic status has allowed her to feel more in control. 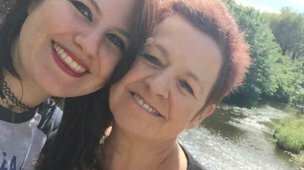 Rachel pushed for genetic testing after losing her mum to breast cancer and discovered that she was BRCA2+. She shares her story. 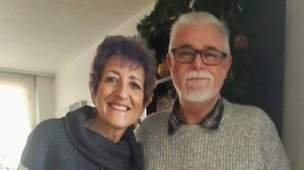 Rob wrote the following blog post in July last year, three days before he lost his mum, Carole, to ovarian cancer. While her loss has been devastating, Rob has tried to channel his energy into fundraising for our research projects, paying tribute to the amazing woman who always supported him and let him be himself. 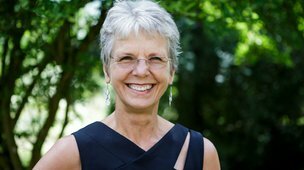 Florence was diagnosed with stage 3 ovarian cancer in 2010 and has undergone several rounds of gruelling chemotherapy and extensive surgery over the past eight years. She reflects on the moments that have been stolen from her, as well as the importance of finding joy, even in the hardest times. 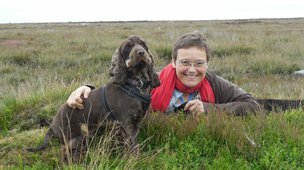 OCA Cancer Prevention Officer Jo is our resident expert on all BRCA-related issues. 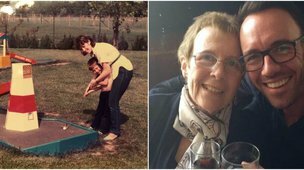 She shares the pain of losing her beloved Mum to ovarian cancer and how genetic testing has enabled her to take control of her own future. 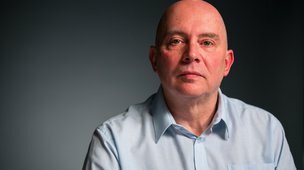 Darren lost his wife, Pamela, in October 2016 after a ten-year fight with ovarian cancer. He shares his story. 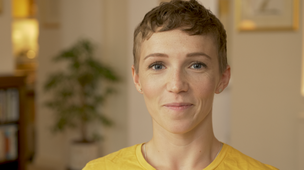 Katie Mumford: "I think about my risk of ovarian cancer, and the lack of screening available, every single day"
When Katie discovered she was BRCA2 positive, she knew immediately that she wanted to have preventative breast surgery to reduce her risk of breast cancer. However, the decision about when to remove her ovaries and the implications of doing so is proving to be more emotionally complex. 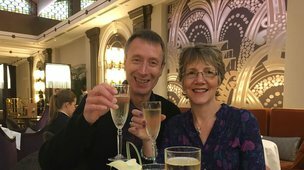 Maureen Powell: "I want to make the most of life and don’t want to miss out on all the wonderful experiences that it brings us"
Maureen was diagnosed with stage 4 ovarian cancer last year, aged 50. 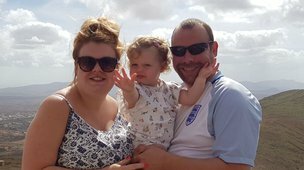 It has not been an easy journey but after taking part in a clinical trial, she is now in remission and intends to make the most of life. 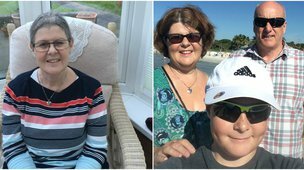 Jo Blankley: "When I look back to that time, I realise how easy it would have been to have ignored my symptoms"
Kim Gray: "Cancer is not just a physical disease, but also a mental one"
Kim Gray was diagnosed with inoperable stage 4 ovarian cancer in Summer 2016. Now nine months post-chemo and still NED, (no evidence of disease), she hopes that sharing her story will give hope to other women who have just been diagnosed or are about to start their chemo or have surgery.